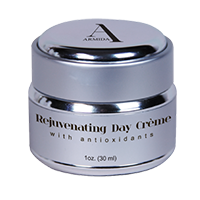 Armida Signature Collection by Ardyss™ Rejuvenating Day Crème - An effective daily treatment for the skin that nourishes without heaviness, to help keep the skin moisturized and healthy throughout the day. 1 oz (30 ml). Send the product you want to exchange in salable or perfect condition along with a copy of the invoice and the assigned RMA number to our warehouse located at 470 Mirror Court, Suite 104 Henderson, NV 89011.Please read carefully the Exchange Policies (1-12) listed below. Exchanges may also be made in local warehouses in person. 1. 30 Day Period: Our guarantee begins 30 days from the date you received the order. There will be no exchanges after 30 days. Inspect all your products upon arrival. 2. Nutrition and Cosmetics Products For health safety reasons there are no exchanges or returns made for nutritional and cosmetics products. 3. Perfect Condition: If you are dissatisfied with your garment, send the product in original packaging, with the original tag in place, unlaundered, clean and folded. Only salable or garments in perfect condition may be exchanged. 4. Exchanges in Power Packs Power Packs can only be returned in their full complete packaging. Incomplete Power Packs cannot be returned or exchanged. The garments included may be exchanged for the same item in different color or size. 5. Factory Defect: In the event that you receive a product with a manufacturing defect, this will be replaced immediately by another of the same color and size. The default warranty applies for a problem of origin, not by improper use of the product. Only salable or garments in perfect condition may be exchanged. 6. Include in the Shipment: Please include a copy of the invoice in the package with the products you want to exchange. 7. Charge for Exchange: If you want to exchange a garment for another size or color there will be a $7.00 USD charge if the product is sent from Henderson, NV. A charge of $3.00 USD will apply if exchange occurs at a local warehouse. This fee does not apply on manufacturing defects. 8. Exchange for a Different Product: Exchanges of one product for another can only be made by sending the product to Henderson. When this happens we shall issue an on-screen credit for the value of the product (no shipping and handling) for billing the new desired product. 9. Response Time: In the event that we cannot make the exchange within 8 days after we receive your package in Henderson, NV; we will automatically apply a 100% screen credit on the wholesale value of the product (i.e. no shipping charges and handling). 10. Discontinued and Promotional Products: No exchanges will be allowed for promotional or discontinued items or special sizes. 11. Garments are Changed Only Once: Garments will only be exchanged one time due to the intimate nature of garments. It is your responsibility to make sure your second measurement is accurate as this will be a final sale. Click the button below to add the REJUVENATING DAY CREME to your wish list.